JEFFERSON CITY, Mo. – The next director of Missouri’s Department of Public Safety will be Col. Sandra K. Karsten. Gov. 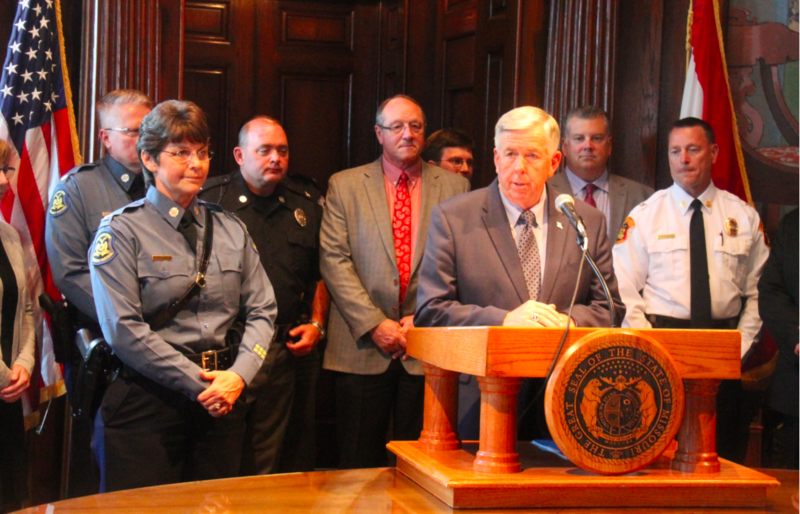 Mike Parson announced his appointment on Monday, naming the superintendent of the Missouri Highway Patrol as the new director just days after it was announced that she would retire from the Patrol effective Sept. 1. Col. Sandra Karsten has been named as the next director of the Missouri Department of Public Safety. Karsten had been named the interim director to take over following the announcement of Director Drew Juden’s departure on Aug. 31. Karsten was named the first female superintendent of the Highway Patrol by then-Gov. Eric Greitens in Feb. of 2017, becoming the 23rd superintendent in Patrol history. She first joined the Patrol in 1985, working her way up the ranks after starting her career in Troop F. Her resignation arrives after 33 years in service. Karsten will assume the duties when her retirement takes effect, taking the reins of DPS’ 15,000 employees, and marking the first agency head appointment by Parson since taking office this spring. Parson said that one of the top priorities for Karsten in her new role will be working on the issue of gun violence and that she will be reaching out to officials in St. Louis and Kansas City to start those discussions.